Bright and Breezy Crafts: Cute! Garden cat pots form Bugaboo. it was in a set of papers, but that's it! I punched the flowers in glittery card and added gems for the middles. I coloured the image with a mix of promarkers and mirage markers. and I'm afraid I left this one till a bit last minute.. slap my wrists! Very cute card, Vic! Pretty papers and a fun image! 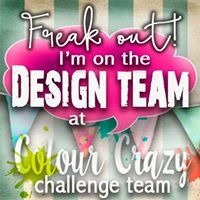 Thanks for joining us for the Ditzie Digi Design Challenge! I love your cards! They are sweet and genuine and not 'globbed up' with stuff. They are such a wonderful inspiration for a beginner like me! This is so cute... The pattern paper is perfect! 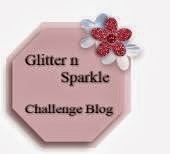 Fabulous project thank you for joining in over at seemacrafts . Love this cute image! Thank you for joining the Crafting At The Weekend Challenge, hope to see you again very soon. 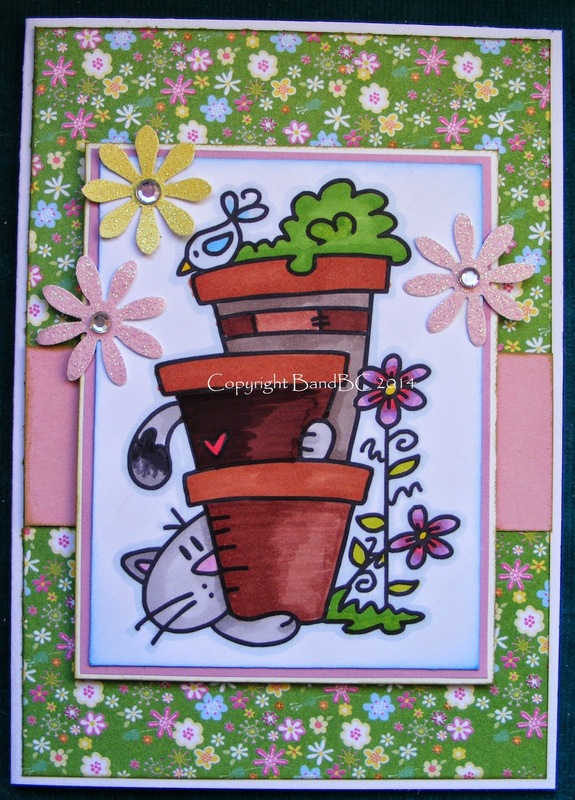 Cute kitty card. 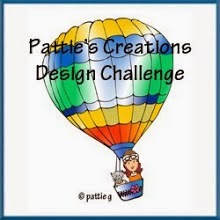 Thanks for the joining the challenge at Seemacrafts!! !